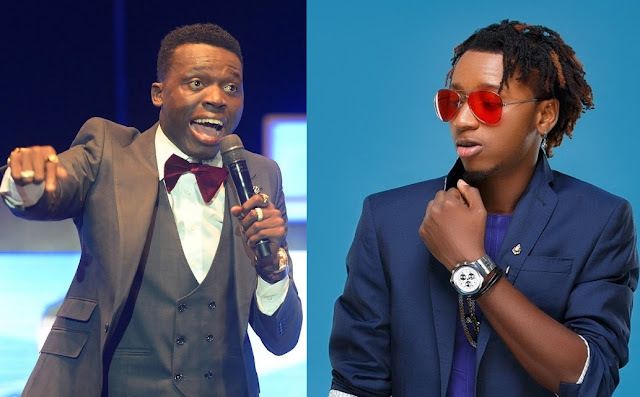 Weeks after Comedian Akpororo dissed Yung6ix on stage after the singer spent a whooping sum of 3.8 million Naira in the club on drinks, Yung6ix has finally reacted to impending feud and has cleared the air. The singer in a recent interview admitted that, though he was pained about the joke, but he still respects the comedian as his Deltan brother and nothing can come in between them. Recall that after the diss, his personal DJ, Timmy had taken to the social media to retaliate by calling out Apkororo and revealing some dirty secrets about his wife to the public, however, while this went on, the singer himself kept mute on the matter even after his fans asked him to caution his DJ.